At Easter I studied John 21. One detail that jumped out at me was that Thomas was called the Twin. Jacob and Esau of course were twins, as were Perez and Zerah (Genesis 38…a harrowing story in the Bible!) 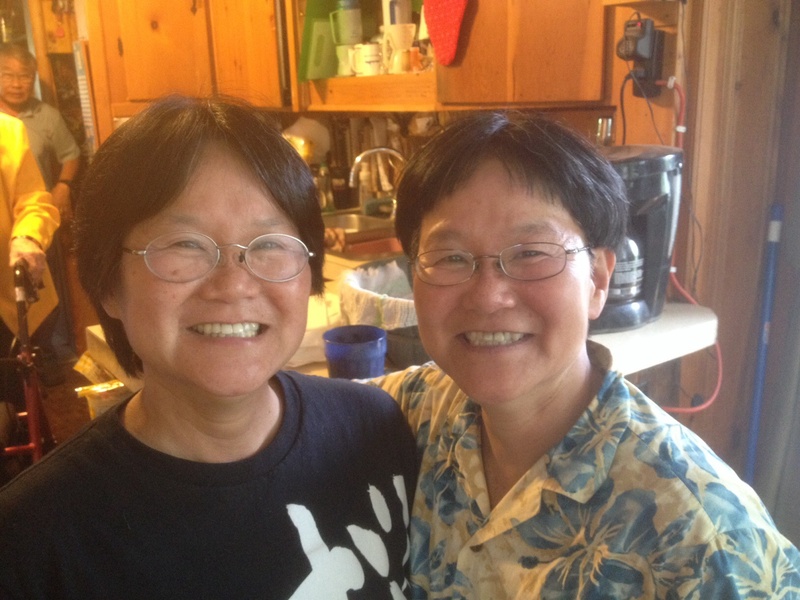 Were Cain and Abel twins, some wonder? Or what about Ephraim and Manasseh? And why don’t we name children with these cool sounding names?! This prompted me to locate the twins at Rainbow. Please tell me if I’ve left anyone out! The first pair is Mary Lou Duerksen and Betty Jean Bodine. Betty came first and blames her bruised head on Mary Lou who was close behind. Of course Mary Lou was a complete surprise to EVERYONE. In fact, the only name their parents had picked out ahead of time was for the one boy they assumed they were having! The boy would come later, as in six years later. Naturally, I asked them if people ever had a hard time telling them apart. “Their boyfriends had trouble,” said Mary Lou’s husband Joe. I didn’t press him for more information! Now check out this photo of Alison and Arlen, twin daughters of Kathleen and John Bush. In a recent conversation with Alison she said that it was always great to have someone to talk to, “a shadow that can laugh, talk back and answer.” Yes, they have been mistaken as the other and in random places and situations like St. Louis and even Hawaii! Even Alison gets confused when looking at certain photos. Alison also has twin cousins who recently celebrated their 16th birthday. 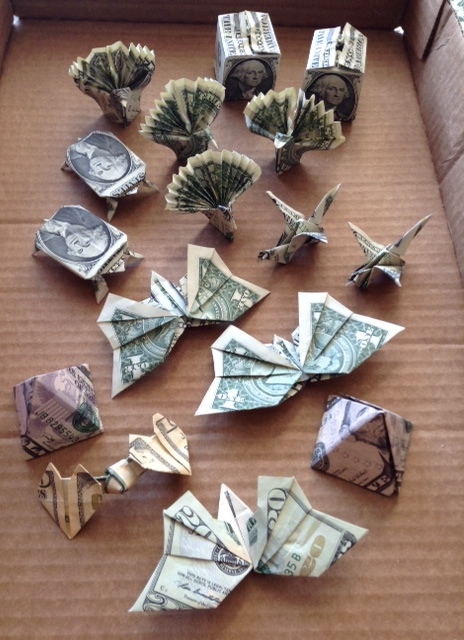 For a present Alison created ’16’ origami pieces made out of money. Wow! Some may know that Becky and Larry Bartel also have twin boys. Are there other twins here at Rainbow?